Happy to share this lovely little video from Sweet Honey Films, a peek into the world of the artist Wayne Thiebaud as translated into wedding theme. 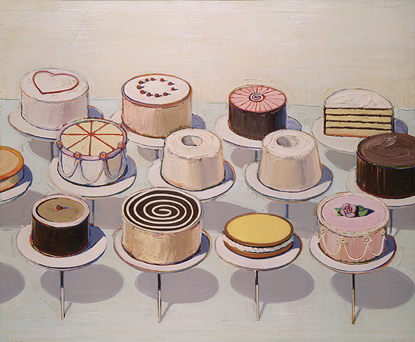 Inspired by the iconic pop still lifes of Thiebaud, (especially his cakes!) we collaborated on the design of this shoot with Bows and Arrows and After Yes Weddings, pulling from his use of color and light, symmetrical composition, and a feeling of playful whimsy. Beautiful images to come soon from Apryl Ann Photography, but for now, we hope you enjoy this sweet video as much as we do! Theibaud Shoot from Ben Q on Vimeo.